Welcome to OzEmlak, one of the leading real estate agencies in Bodrum-Turkey. We are a family run business established in1978 by Hasan Kaya in Guvercinik near Bodrum where we opened our first office. Under the management of Hasan’s son Ali Kaya we have expanded into Bodrum, and are members of the real estate association of Bodrum and Istanbul. Our experience in real estate ensures that our clients get a reliable, cost effective and straight forward approach. We have an extensive range of properties and locations for sale and rental in the Bodrum area, ranging from apartments, villas, farm houses and land. Oz Emlak has satisfied client’s world wide including the Turkey, United Kingdom and Germany. 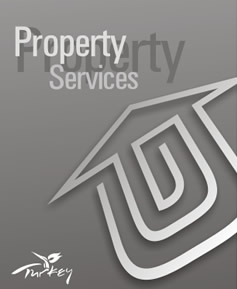 Our services include assistance with legal advice, construction and property management, help with designing property and after sales services. Our main office in Guvercinlik invites you to visit us to experience first hand how our company operates and view our extensive portfolios of land and properties. Make you dream a reality by contacting us today. The prospect of purchasing your own home in Turkey is an exciting but potentially daunting prospect! We contacted Ozemlak initially through their website and found not only an excellent selection of houses but also a wealth of information regarding the purchasing process in Turkey. Following our initial enquiries we soon enjoyed regular contact, via email and telephone, with Ozemlak’s courteous and helpful Directors and staff. Ozemlak organised an inspection visit where we viewed many properties, had all our questions answered and enjoyed their Turkish hospitality. Having selected our home we were guided and supported through all the legal steps required by Turkish law. Indeed we were even ‘chauffeured’ to various stores to enable us to furnish our new house and introduced to local craftsmen for work we wished to undertake. Ozemlak is a highly reputable and professional company and we found the experience of buying our home pleasurable and entirely stress free. If you wish to discuss our experience with them please contact Ozemlak initially and they will forward your contact details and we will be in touch with you very soon.